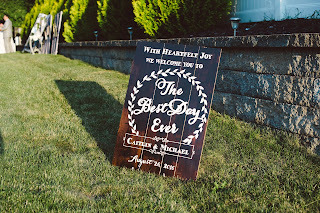 Pinterest always comes to my rescue and my obsessive pinning has paid off!! 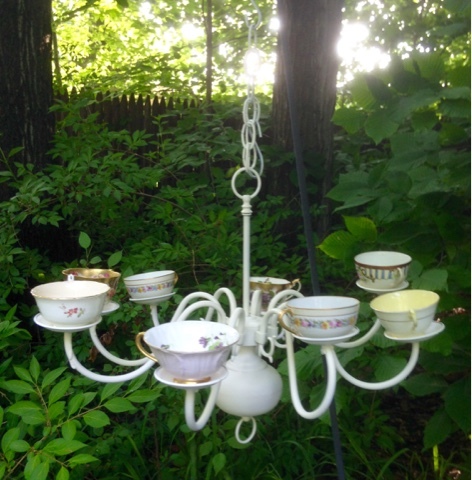 Outdoor bird feeders, bird baths or candlelight meals, whatever makes your heart sing! 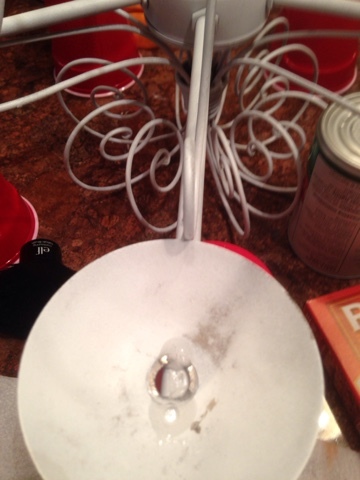 I used the waterproof Gorilla Glue and it holds well- the only thing is you need to moisten the surface prior to gluing and the glue expands - like foam insulation- any extra peeled off without peeling the paint which is a plus! 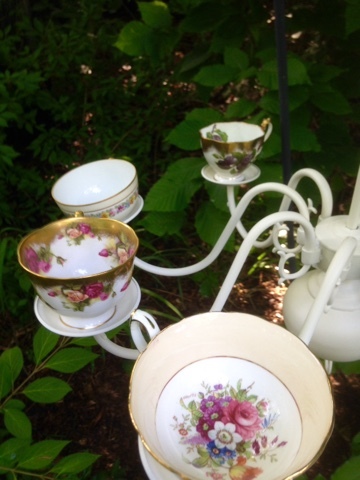 A matched set makes this look so elegant! 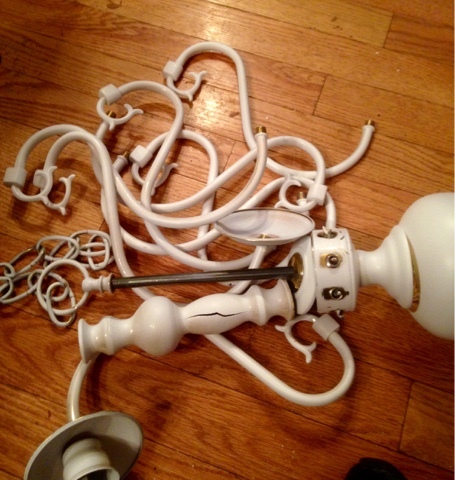 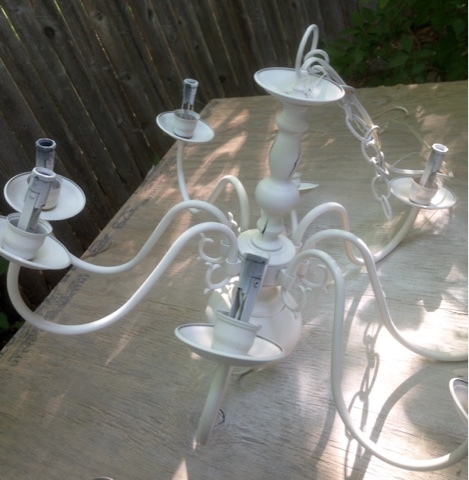 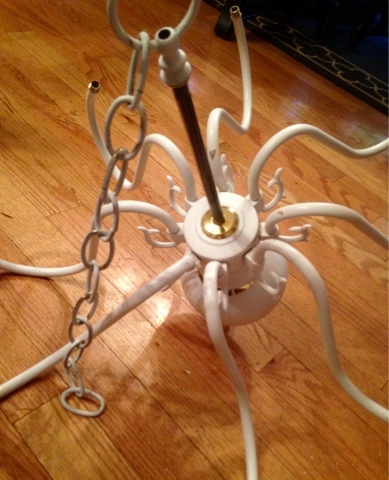 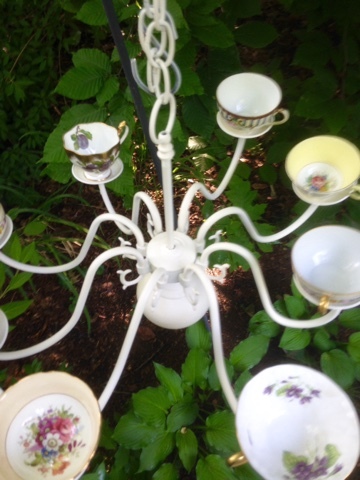 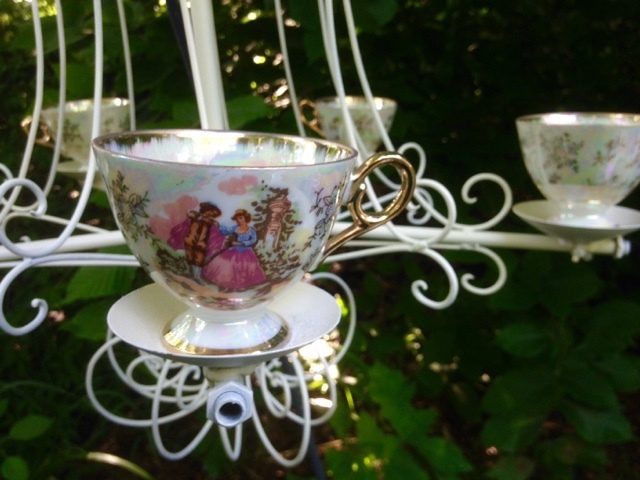 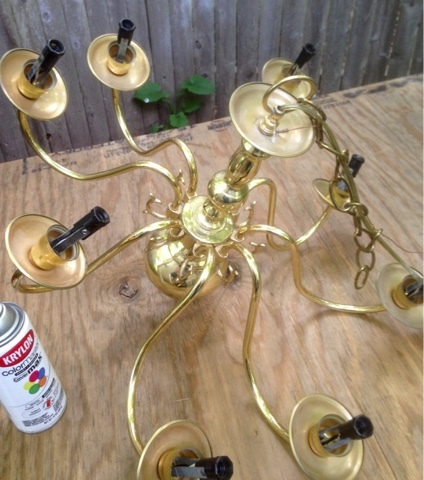 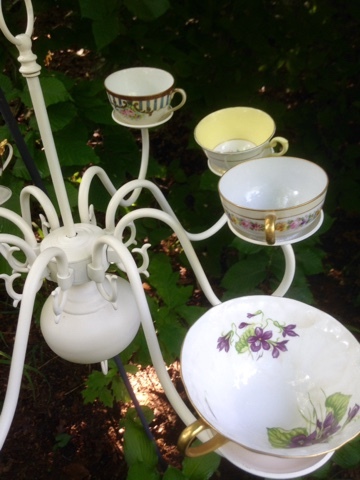 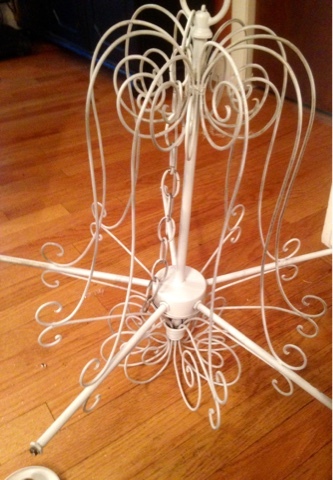 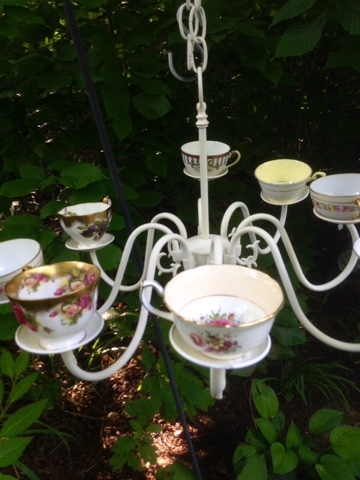 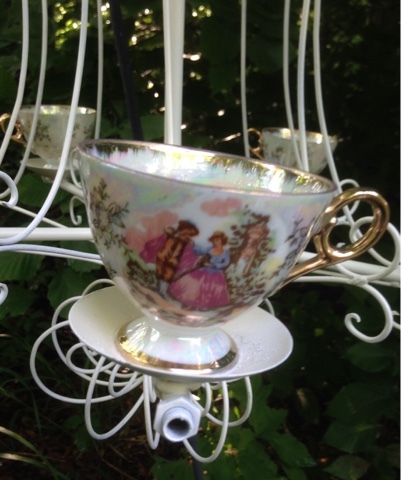 This next chandelier had 8 arms and I used a variety of teacups- a more eclectic feel with a true vintage look! 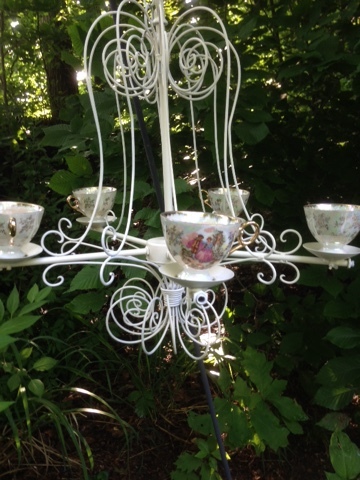 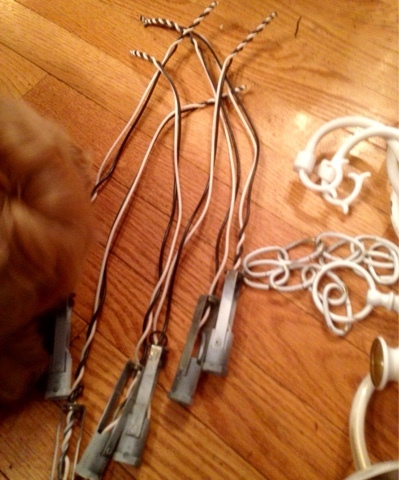 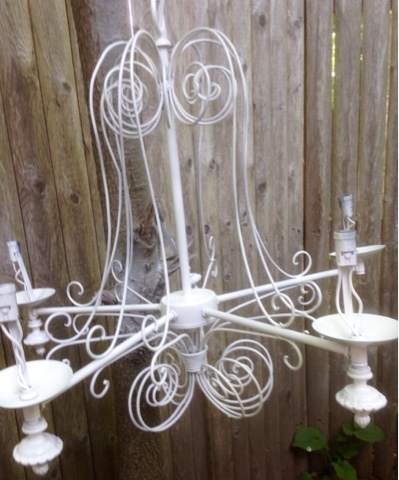 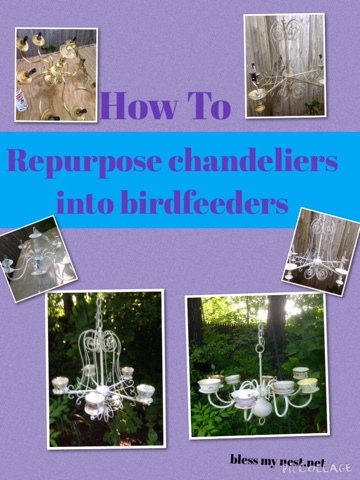 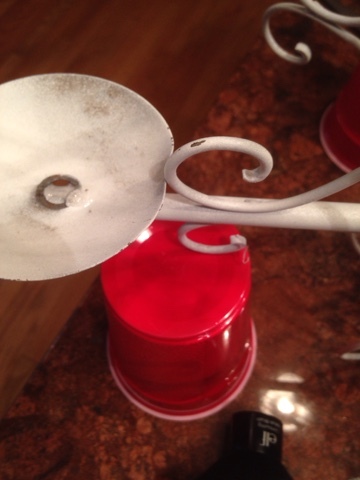 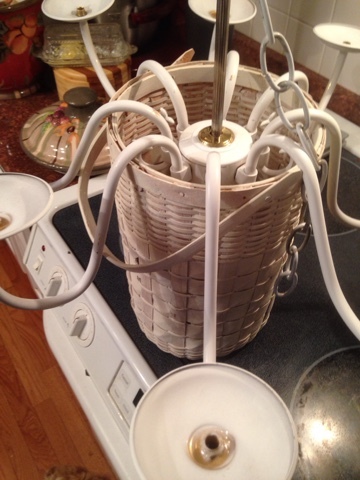 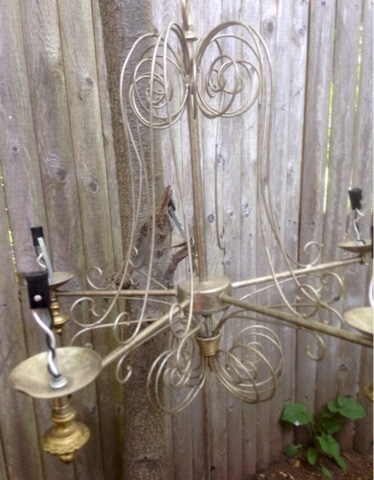 I don't have a favorite - love them both- they would make beautiful outdoor candle chandeliers too! 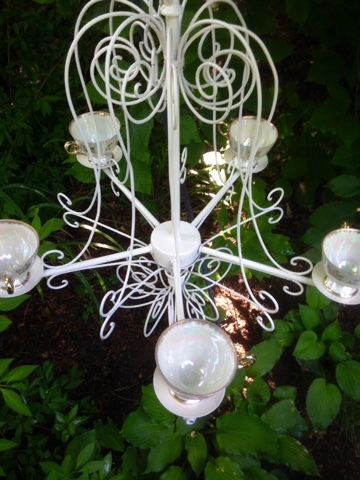 Love the old time look of these "new" fixtures!